We serve delectable contemporary Indian Cuisine. 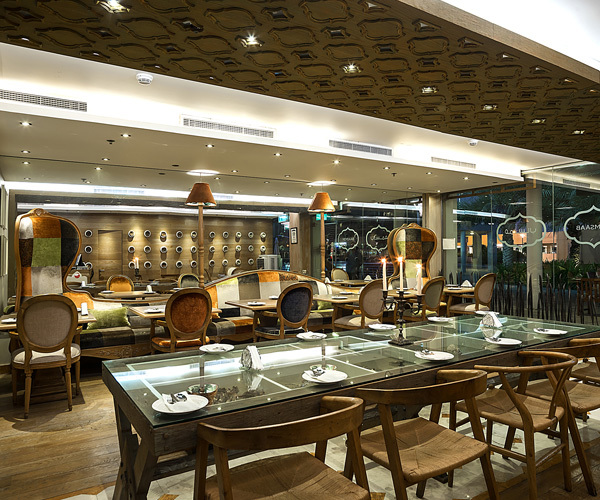 The food is inspired from recipes passed down from generations of the finest chefs of India. The cuisine of Memsaab reflects a diversity of taste and culture of South Asia. Looking for a venue to satisfy your appetite for Mughlai Food? Then head over to Memsaab Restaurant and be impressed with our lavish spread of authentic dishes ranging from tempting appetizers to delicious desserts. Memsaab has a team of skilled staff. The cuisine of Memsaab reflects a diversity of taste and culture of South Asia. We prepare our dishes from the finest fresh produce, fresh meats and freshly ground spices. These are blended with consummate skill and artistry to produce savory treats that tantalize the eye and the palate. A very warm and welcoming restaurant in JLT. Classy decors and pictures of memsaab, very vintage appearance. They provide you with complimentary appetizers with chutney and raitha. A place where you can enjoy a meal in the resaturant itself - it has both indoor and outdoor facility, than just delivery is a good bonus for me. It offers a good variety of dishes and tasty curries. I went for dinner, it's on the lakeside and it's nice to sit outside. The Lamb chops tikka were very good, so was the tikka masala chicken. The food did take a while, I guess due to the lamb chops, but the drinks were served right away. Pleasantly surprised. Each time i visit, i go for butter chicken (although for some reason its not on the menu). And the serving is enough for 2 people. They could improve on the outdoor seating, maybe put some shed at least?